To organise, in harness with others, a multi-sector campaign in support of the Constitution as the expression of the goals and standards to which society aspires; social activism will provide the means by which people can claim and defend rights. To develop an effective strategy for public engagement and dialogue – people will only defend the Constitution if they can see and feel its tangible benefit to them. While leadership is important, this cannot be just a leader-driven project. To foster initiatives that provide advice – institutions and organisations that can help people to not only know their rights, but also take action to protect and claim those rights. To encourage public interest litigation – to enable more people to claim their rights under the Constitution, and to develop a progressive, assertive jurisprudence on human rights. To conduct research – there is a strong imperative to ‘make the case’ for constitutional rights through evidence-based research, and to leverage new opportunities for strengthening the Constitutional order. 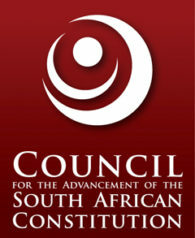 To network and communicate both locally and globally around the need to protect and advance our Constitutional democracy, and to conduct a sustained engagement with key political actors, including the ruling party, other political formations, the labour unions, business, the faith communities, and social movements.